We carry out high-quality integrated sequence stratigraphic studies based on understanding the effects of relative sea level changes, changes in the rate of sediment subsidence and the rates of sediment supply. 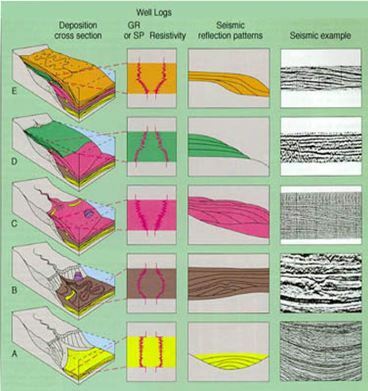 Our approach in understanding this effect is based on the high-resolution integration of sedimentological, biostratigraphic, seismic, and production data whenever available to obtain a resolution of up to the fifth order parasequences. We use data from well logs, whole cores, sidewall cores, FMI logs, seismic data, and, if possible, outcrop data. Our results are used in interpreting depositional and paleogeographic, and chronostratigraphic history, depositional system and systems tract distribution. This approach greatly helps in predicting petroleum system elements, such as reservoir, seal, and source rocks, ahead of the drill bit.